If you've ever read one of our articles here on the site, you've likely noticed that I've relatively recently started getting into theme park photography. While I'm far from an "expert" I tend to get asked quite a few questions about photography and in particular night time photography. So, rather than strictly planning articles for making the most of your Walt Disney World vacation, I thought I'd start sharing a few stories "behind the shots" along with some simple photography tips and tricks for the parks from time to time. 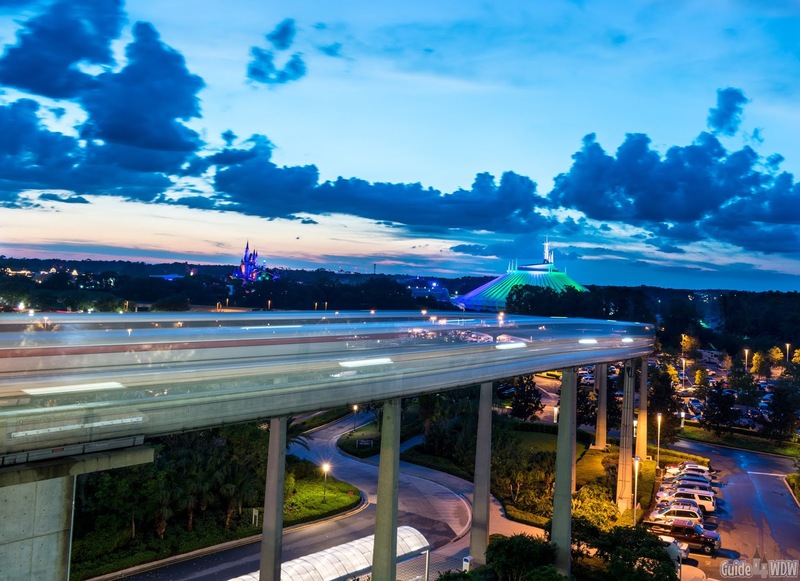 My very first photography article - Disney World Pictures - Our Photography Guide for Walt Disney World - is perhaps the most inclusive of the write-ups I've done so far, but a more recent post dove into my top tips on night photography in How To Take Quality Empty Parks Photos at Disney - From a Photography Perspective. 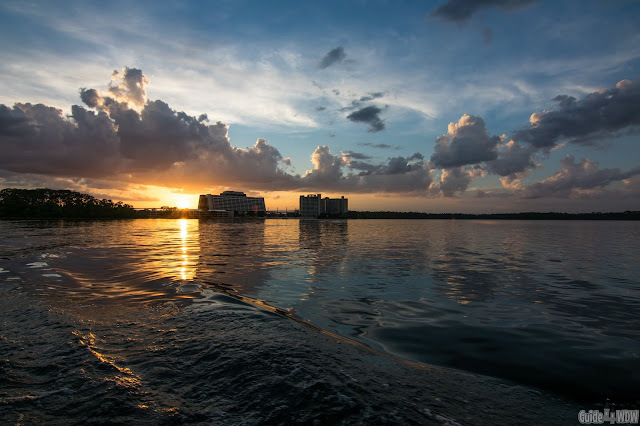 Today's article, while similar to those two posts, is going to share a story behind one particular experience that produced some of my personal favorite sunset photos I've ever been able to capture at Walt Disney World. So, that's what we'll start with today, the story "behind the shot." Over the last 8 months or so I've had the opportunity to spend around a month at the Disney parks and resorts on various vacations. While every Disney trip is unique and picturesque, the summer nights we were lucky enough to spend on property were some of the most picturesque I've ever experienced. The nightly sunset glow continuously exceeded expectations as the afternoon summer thunderstorms drifted away and made way for a beautiful summer night time and time again. On this particular day (June 10th of 2018), a typical Florida summer day unfolded in the early afternoon. The morning was full of sunshine and beautiful blue skies, but as the afternoon heat rolled in huge rainstorms developed and stuck around for hours on end. As always, heavy rain is rarely what you want to face during your vacation, but it's something we've grown to expect on summer trips. 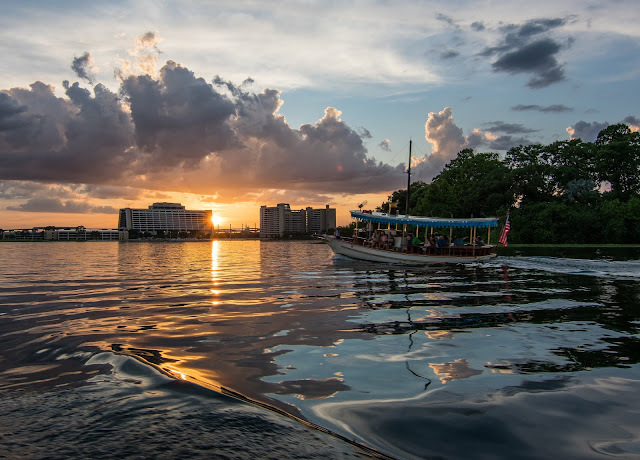 It's an inevitable part of the experience but on this particular day it set up perhaps the most incredible sunset I've experienced at Walt Disney World in recent years. This particular Disney trip was one in which we planned to take the time to enjoy the resort and a little time away from the parks for a few days out of the week. Just by chance, this particularly stormy day coincided with a really relaxing day out by the pool in the morning followed by resort hopping in the rain that afternoon. 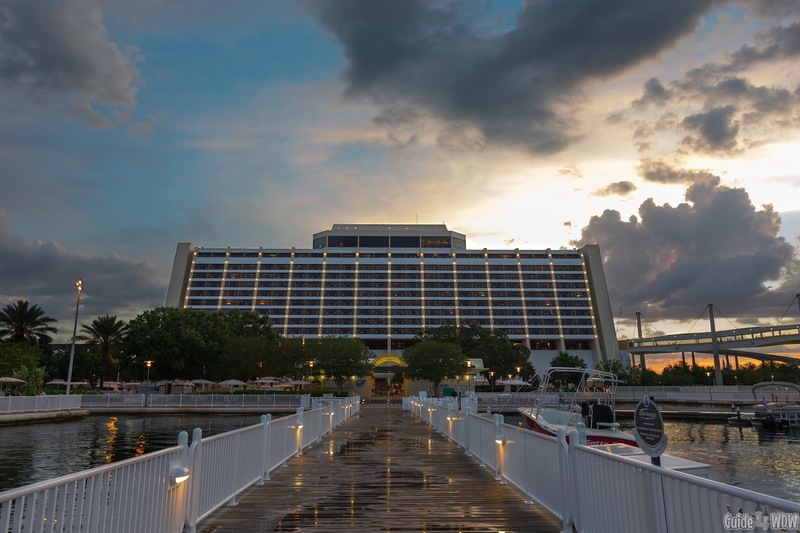 The afternoon led to a quick return to the resort to dry off and grab a quick meal before heading to the Contemporary to view the Magic Kingdom fireworks. Almost by pure luck (or as I'd like to claim... pure ingenious planning lol), the storms passed as we returned to the resort. Just as we boarded a boat from Wilderness Lodge to make the loop over to the Contemporary to catch the fireworks from a distance, the following scene exploded in the sky. 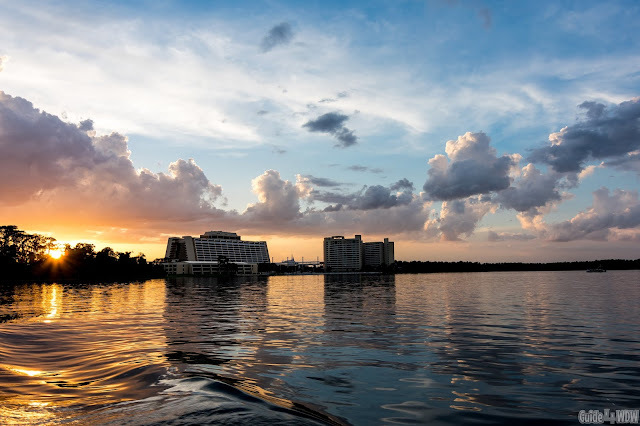 At first, as we stood waiting for the boat, a relatively normal Florida sunset started to develop with a pretty standard yellow "glow" (well at least as "normal" as sunsets can possibly be in the beautiful sunshine state). 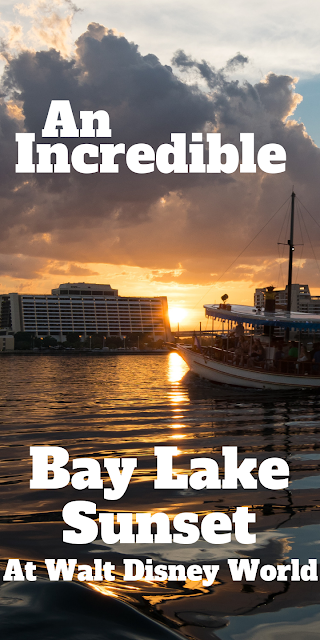 As we boarded the boat, the sky exploded with orange, blue, and purple creating spectacular reflections off of Bay Lake. The closer we got to Fort Wilderness (in route to the Contemporary), the greater the sunset grew in depth of color. 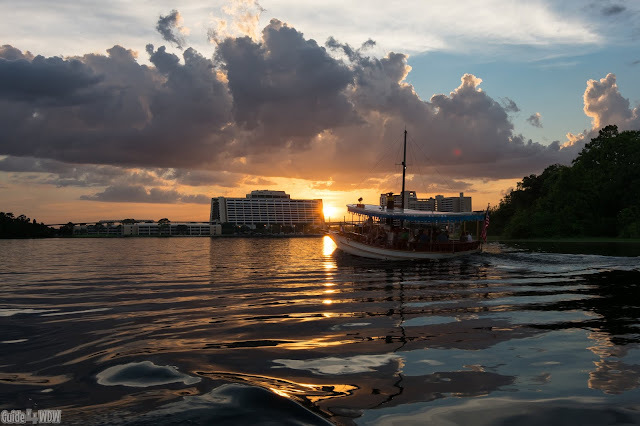 As we passed the former Discovery Island, one particular boat happened to cross paths with the sunset. It was one of those moments where I couldn't have asked for a better composition. Thankfully, I was in the right place at the right time and on the right side of the boat to catch this shot. I leaned back, my sister leaned forward (since she was sitting against the external railing of the boat), and I braced the camera on the railing. I honestly thought I had missed almost every one of the photos found in this article due to the motion of the boat and the awkward angles required to give myself a shot at it... no pun intended lol. When I got back to the room that night, uploaded the photos to my computer, and pull them up in Lightroom, they exceeded my wildest expectations. For the photographers of the group, the shots seen here were taken with the Tokina 11-16 dx II lens at 16mm and f/11 at 1/125 second on the shutter. Chances are I should have set the shutter speed slightly higher, but in the moment I was just firing shots to catch as much of it as I possibly could. Upon arriving at the Contemporary, this was about all that was left of the 20 minute array of colors in the sky. It was a near perfect conclusion to one of those moments you never quite expect to unfold before you. I've said it time and time again, but those moments you expect the least while on a Disney vacation are typically the ones that stick with you for years on end. 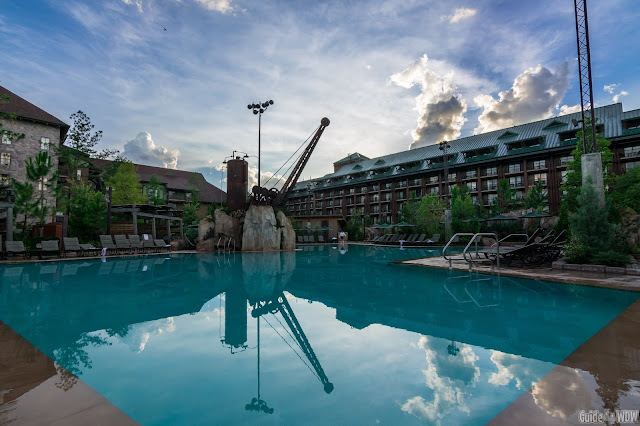 It's not about the parks, and it's not necessarily about the resorts, but rather those moments with friends and family that you never could have expected. As the day rather quickly turned to night, we made our way up to our original destination high above the fireworks viewing balcony in the external staircase. To my surprise, the sunset had one more picturesque view to share and the following bluish purple sky slowly lead to darkness right as Happily Ever After began for the night. It was a night to remember!